1.Presentation of patient with screw loosening in case of gleniod fracture fixation? 2.Arthroscopic technique of removal of such loosened implant? Introduction: Internal fixation has been shown to successfully prevent recurrent dislocations after fractures of the glenoid rim. With regards to fixation either suture anchors or screws can be used, depending on the fragment size. Complications regarding suture anchors and their management have been described previously but not the arthroscopic management of screw impingement. Case Report: We present a case of a 70 year old women who suffered from limited range of motion after fixation of a Ideberg III fracture using cannulated screws. X-rays showed one of the screws to be proud. The proud screw could be successfully removed arthroscopically resulting in an improved range of motion, function and decreased pain. Conclusion: Our report describes a possible technique for performing a procedure arthroscopically that used to be done as an open procedure before and highlights it’s limitations. Keywords: Glenoid rim fracture, arthroscopy, screw removal. Fractures of the glenoid rim have been reported as a frequent complication of anterior shoulder dislocation . Nonoperative treatment can result in the development of shoulder osteoarthritis, and recurrent shoulder dislocations has been observed in 80% of patients treated with nonsurgical methods . Therefore, operative treatment is the current standard and was shown to successfully prevent further dislocation and accelerated wear . 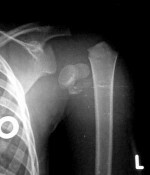 Internal fixation can be achieved either by open surgery using screw fixation of the avulsed fragment using a subscapularis-split- or an inverted-L-approach  or arthroscopically using either cannulated screws  or suture anchors in a technique similar to Bankart repair for recurrent dislocation . When cannulated screws are used, metalware impingement can occur in up to 40% of patients as a retrospective study by Scheibel et al showed . While techniques for the removal of proud suture anchors after glenoid refixation  have been described as well as the removal of cannulated screws and washers from within the knee , there are no reports about arthroscopic removal of cannulated screws of the glenoid. We present a case of a 70 year old woman where arthroscopic metalware removal was undertaken for a displaced cannulated screw after fixation of a bony glenoid rim lesion. The patient has given consent that data concerning her case would be collected for publication. A 70 year old right hand dominant patient presented to our outpatient clinic. She had been treated with hemiarthroplasty as well as cannulated screws for a glenoid fracture (Ideberg III ) after fracture-dislocation of the left shoulder. 6 months postoperatively, the patient’s abduction was 80° and forward flexion was 70°, respectively. 18 months postoperatively, the patient presented for follow-up complaining about a sudden loss of range of motion without further trauma. Pain was rated as 6 out of 10 and the patient’s constant score was 15. On examination, discrete wasting of the deltoid muscle could be observed. Active and passive range of motion were decreased, both in abduction (30°) and forward flexion (30°). Tests were negative for instability, rotator cuff deficiency, subacromial and subcoracoidal impingement as well as for pathology of the long head of the biceps. X-rays showed a radiolucent lesion of the inferior glenoid and displacement of one of the cannulated screws (Fig. 1). 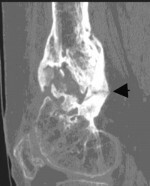 Computed tomography confirmed displacement of the screw and showed union of the glenoid fracture. Surgery was advised to the patient. Preoperatively, the image intensifier was used to confirm metalware impingement. Arthroscopic examination showed metallic debris around the head of the clearly deformed cranial screw as well as scratch marks on the surface of the shoulder prosthesis and diffuse synovialitis. Impingement of the screw with the humeral head replacement could be visualized when moving the shoulder in abduction. The rotator cuff and the long head of the biceps tendon were found to be intact. A Kirschner wire was inserted using the 5-o’clock portal and the cannulated screw was localised. The wire was inserted into the screw and a cannulated screw driver was used to remove the screw through a stab incision (Fig. 2a and 2b). The inferior screws were well buried and left in place as they could not be accessed arthroscopically due to their position. Intraoperatively, range of motion was 70° for abduction and 60° for forward flexion after screw removal and careful manipulation. Given the patient’s range of motion before impingement occurred the decision was taken not to release the joint capsule. Postoperatively, a mobilisation programme using a suprascapular block and nonsteroidal analgetics for pain relief was begun. Exercises focussed on stretching the inferior capsule and improving strength the humeral head depressors in order to centralize the prosthetic humeral head. Physiotherapy was continued until 6 weeks after discharge followed by home exercises. 6 weeks after surgery, abduction and forward flexion were 80° and 70°, respectively. The patient’s constant score  had improved to 40. Pain was rated as 3 out of 10. The patient was very satisfied with the outcome of surgery. Refixation of fragments of the glenoid rim is a commonly performed procedure. With regards to fixation devices, both screws [3,4,11,12] and suture anchors [13,14] have been used, with the choice usually depending on fragment size. A high incidence of complications related to metalware has been described for open surgery using cannulated screws. In a study by Scheibel et al , 40% of patients treated with cannulated suffered from screw impingement or loosening. Raiss et al  report a rate of 27.5% of patients that needed to undergo revision surgery for screw removal. Although the rate of complications related to screws has not been reported yet after arthroscopic fixation of anterior glenoid rim fracture, it can be assumed that, due to implant size, the overall incidence could be as high as reported for open technique. Kokubu et al presented a case report of an anterior rim fracture treated with a double-threaded headless compression screw. This seems to be a promising technique as the screw can be placed under the cartilaginous surface, preventing impingement of a prominent screw’s head therefore. 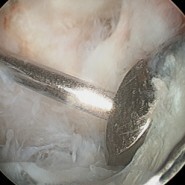 Removal of a subchondral screw might present new difficulties, though. Arthroscopic surgery has been recommended not only for fracture fixation but also for management of complications regarding metalware. In 2009, Jeong and Shin  presented a case series describing successful arthroscopic removal of proud suture anchors after Bankart repair. None of their patients showed redislocation or instability. Visual analogue score for pain and constant score improved significantly. In our experience, the anterior glenoid rim was well accessible using a 5-o’clock portal trying to localize the cannulated screws with the standard Kirschner wire also used for insertion. Due to its small diameter, it was impossible though to use it for levering in order to advance it into the more distal screws as it would bend. In the presented case, the patient sustained a fracture classified as Ideberg III, separating the lower third of the glenoid from the joint. In a patient with an anterior glenoid fracture (Ideberg I), screws in the commonly used positions would have been easily accessible using arthroscopic standard portals. When performing internal fixation for Ideberg III fractures, a technique inserting the cannulated screws from superior to inferior should be considered therefore. Arthroscopic screw insertion using this technique has been described using the Neviaser portal , but there are no reports of arthroscopic screw removal after this procedure yet. In our patient’s case, the inferior screws were well buried and did not cause impingement. Therefore, removal was not necessary. In case of impingement of the more inferior screws, an open procedure would have been necessary. The main advantage of performing the procedure arthroscopically is to avoid a subscapularis-detaching approach. Both the inverted-L- and subscapularis-splitting-approach have been shown to violate the integrity of the muscle , resulting in fatty degeneration causing a loss of muscle power and susceptibility to muscle tears. Another advantage is that prolonged restriction of external rotation can be avoided. Due to the patient’s limited range of motion, gentle manipulation was performed intraoperatively. The range of motion achieved by surgery could be maintained postoperatively by starting stretching exercises early after surgery, using a suprascapular block for pain control. Using open surgery, exercises would not have been started as early. Our case report shows that removal of cannulated screws can be performed arthroscopically. The procedure can be performed easily for screws positioned in the anterior rim but, in our experience, screws positioned in the inferior glenoid can not be localised percutaneousely without putting neurovascular structures at risk. The main advantage of performing the procedure arthroscopically was avoiding the morbidity and possible complications of an open approach and allowing to start physiotherapy early. Whether arthroscopic screw removal has significant advantage with regards to shoulder function, recurrence of instability and patient comfort needs to be subject of clinical studies. 1. Arciero RA, Wheeler JH, Ryan JB, McBride J. Arthroscopic Bankart repair versus nonoperative treatment of acute, initial anterior shoulder dislocations. Am J Sport Med 1994; 22:589-594. 2. Constant CR, Murley AHG. A clinical method of functional assessment of the shoulder. Clin Orthop 1987; 214:160–164. 3. Frush TJ, Samer SH. Arthroscopic reduction and cannulated screw fixation of a large anterior glenoid rim fracture. J Shoulder Elbow Surg 2010; 19:e16-e19; 4. 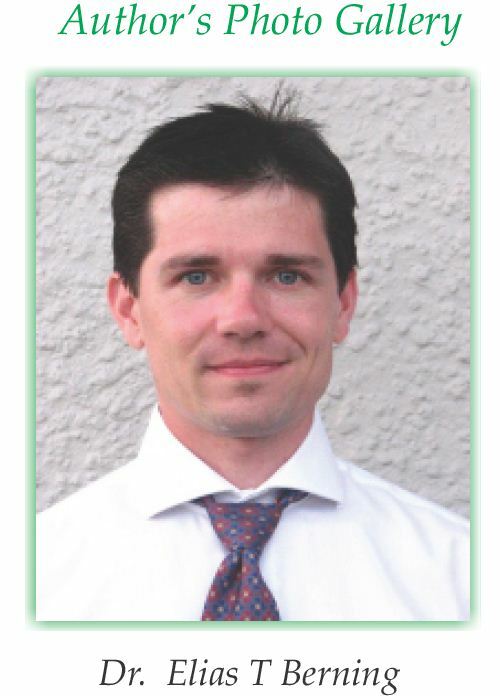 Ideberg R, Grevsten S, Larsson S. Epidemio­logy of scapular fractures. Incidence and classifica­tion of 338 fractures. Acta Orthop Scand 1995; 66:395–397. 5. Jeong JH, Shin SJ. Arthroscopic removal of proud metallic suture anchors after Bankart repair. Arch Orthop Trauma Surg 2009; 129:1109-1115. 6. Kokubu T, Nagura I, Mifune Y, Kurosaka M. Arthroscopic bony Bankart repair using double-threaded headless screw: A case report. Case reports in Orthopaedics 2012: Article ID 789418. 7. Millet PJ, Braun S. The “Bony Bankart Bridge” procedure: A new arthroscopic technique for reduction and internal fixation of a bony Bankart lesion. Arthroscopy 2009; 25(1): 102-105. 8. Parikh SN. Arthroscopic removal of a cannulated screw and washer from the knee joint. Orthopaedics 2010; 33(9):675-676. 9. Porcellini G, Campi F, Paladini P. Arthroscopic approach to acute bony Bankart lesion. Arthroscopy 2002; 18(7):764-769. 10. Raiss P, Baumann F, Akbar M, Rickart M, Loew M. Open screw fixation of anterior glenoid rim fractures: mid- and long-term results in 29 patients. 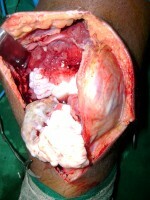 Knee Surg Sports Traumatol Arthrosc 2009; 17:195-203. 11. Rowe CR. Prognosis in Dislocations of the Shoulder. J Bone and Joint Surg Am 1956; 38(5):957-977. 13. Scheibel M, Tsynman A, Magosch P, Schroeder RJ, Habermeyer P. Postoperative subscapularis muscle insufficiency after primary and revision open shoulder stabilization. Am J Sport Med 2006; 34(10):1586-1593. 14. Sugaya H, Kon Y, Tsuchiya A. Arthroscopic repair of glenoid fractures using suture anchors. Arthroscopy. 2005; 21:635e1-e5. 16. Yang H, Wang D, He X. Arthroscopic-assisted reduction and percutaneous cannulated screw fixation for Ideberg Type III glenoid fractures: A minimum 2-year-follow-up of 18 cases. Am J Sports Med 2011; 39(11):1923-1928.